All you can eat Crawfish following play! Advance registration required. 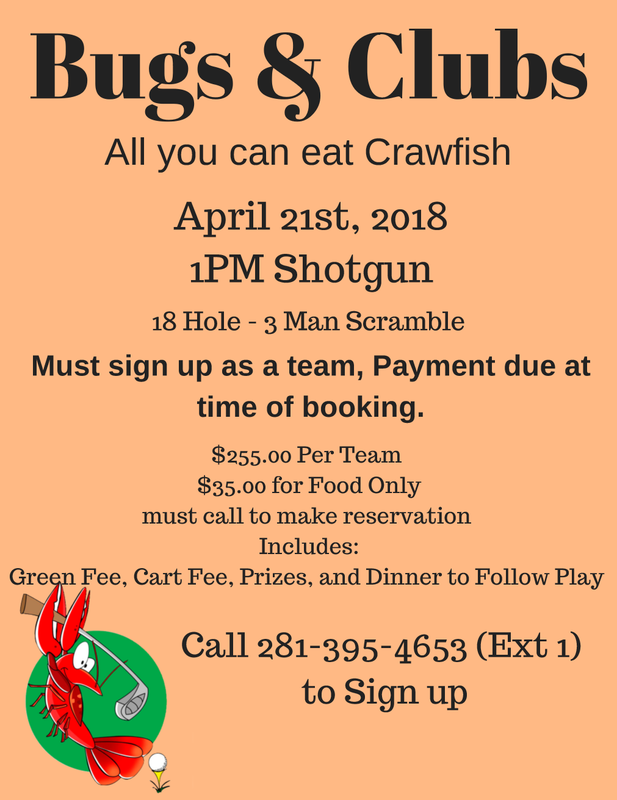 Contact the golf shop at (281) 395-4653 to sign up today!